Sometimes, shipments just don't work out and thats okay. 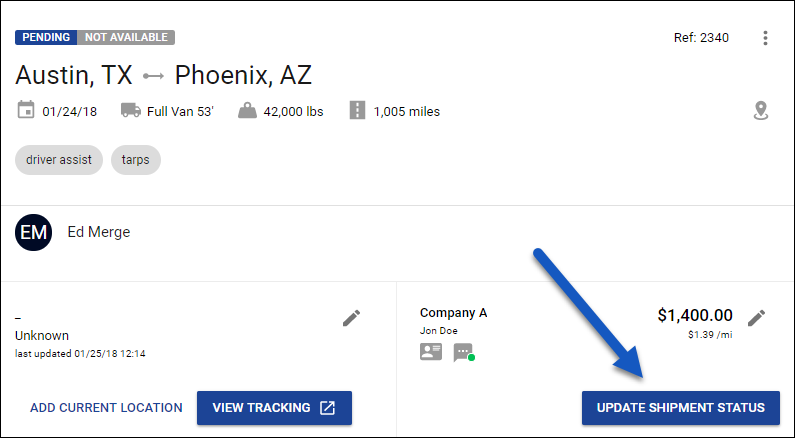 In this article, you'll learn how to CANCEL a tender request or shipment correctly so that all parties are aware of the changes, and you can get back to work quickly. Click Tenders in the navigation panel and select the tender request you would like to cancel, this will prompt the order summary. Scroll down to the section titled Tenders and click Show. This will populate the details about the accepted tender. It will also provide the option to CANCEL - click this button. And now your tender request is canceled! The Tender tab will contain all Pending, Canceled, or Rejected tenders. Click UPDATE SHIPMENT STATUS and all available shipment statuses will appear. 4. Select Canceled and click SAVE. All canceled shipments will move to the History tab!